Supplemental health insurance and a number of other important tips can help you live with high deductibles that appear to be here to stay. Whether you buy your health insurance as an individual or you have health insurance through your employer, you are seeing increasing deductible and out-of-pocket costs for your medical expenses, and these costs just keep going up and up each year. Supplemental insurance can fill in the gaps to keep you protected from high out-of-pocket expenses. Individual health insurance – If you purchase your own health insurance because you are self-employed, unemployed or your employer does not offer health insurance, your deductibles and out-of-pocket maximums are increasing steadily—and significantly—every year. An analysis of the plans currently available on the public marketplace show this very clearly. For example, the deductible for the lowest-priced Obamacare health plans will average more than $6,000 in 2017 for individuals. It’s even worse for families, with bronze plans average deductibles of $12,393. This shows the steady increase during the three years since the Affordable Care Act established these marketplaces. Employer group health insurance – If you obtain your health insurance through your employer, you may be paying lower premiums, since many employers that offer health insurance coverage also pay a portion of the premium for their workers. However, most employers pay a smaller percentage of the premium for coverage of an employee’s family members. 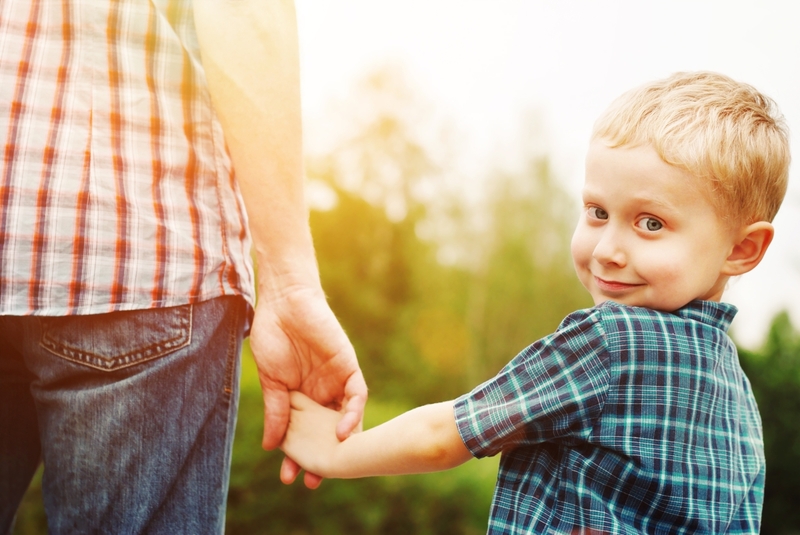 In fact, some employers offer family coverage but do not pay any of the premium for family member coverage. In a recent survey conducted by PwC Health Research Institute (2016 Health and Well-Being Touchstone Survey), 25% of surveyed employers already offer only high-deductible health plans, while another 39% are considering making the move to HDHP-only strategy in the next three years. In terms of deductibles and out-of-pocket costs for employer-sponsored health insurance, the average deductible amount for single coverage in 2016 was $1,478. This is 12% higher than the average deductible in 2015 ($1,318). Out-of-pocket costs are also high for employer-sponsored health plans, ranging from a little less than $2,000 to $6,000 or more. These figures are from the annual study by the Kaiser Family Foundation (Kaiser) and the Health Research & Educational Trust (HRET) of private and nonfederal public employers with three or more workers. According to the Kaiser Family Foundation report, over half of our nation’s non-elderly population is covered by employer-sponsored health insurance—approximately 150 million non-elderly people in total. It is clear that whether you have an individual health insurance policy or you have coverage through your employer, the burden of increasingly high deductibles and out-of-pocket maximums is here to stay. These amounts have been increasing steadily since the Affordable Care Act was implemented, and there is no indication that this increase will subside. That means you need to find ways for you and your family to live with high deductibles and be ready to pay your out-of-pocket costs, especially if you or one of your family members should have a serious accident or illness. There are a number of actions that people may take when they are faced with these high expenses. Some of them may seem quick and easy at the time, but they bring on larger expenses and/or more problems for you in the future. Using credit cards to pay large medical bills. Putting these expenses on a credit card may seem like a quick fix, but it has hidden dangers. Yes, you will stop getting bills from the medical providers, but you will be paying high-interest rates to the credit card company until you are able to pay off the balance. And, if you miss a payment to the credit card company, most of them have provisions that will significantly increase your interest rate going forward, so you will pay even more. Mortgaging your house. Taking out a mortgage or a second mortgage on your house also may seem like a logical thing to do. But consider that you’ll be paying interest on the money, and this added debt could become a problem when you want to make another large purchase, such as a car, since your debt level will be increased, probably for many years to come. Borrowing from family or friends. This option, of course, depends on your family and friends. However, in general, it can be uncomfortable and awkward to ask for this type of loan, and even more difficult should you have trouble repaying it quickly. This can lead to some very tough family holiday dinners and encounters with friends. Borrowing from or taking distributions from your retirement account. This tactic has you borrowing against your future. For most people, saving for retirement is a difficult chore. 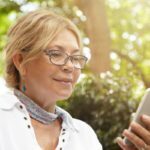 Once you have borrowed from or emptied your retirement account, it is very hard to replace those funds. You risk your future retirement plans when you do this, meaning you may either need to postpone your retirement well past the age when you had planned or you may have to drastically downsize your living arrangements and expenses once you do retire. So what are some better ways to live with your high deductible? Listed below are seven tips that can help you cope with and cover these expenses. A supplemental health insurance plan can help cover the gaps in your high deductible health insurance. Supplemental health insurance pays benefits for sickness and accidents that will coordinate with your major medical plan or pay IN ADDITION TO any other coverage you have—to help fill the out-of-pocket gaps in your coverage. In addition, with supplemental health insurance coverage, you may be able to switch to a higher deductible, since you have a safety net of supplemental protection. That means you could save on your monthly insurance premiums, with a lower-cost, higher deductible health insurance plan. To make the best use of your deductible throughout the year, it’s a good idea to get your preventive care taken care of early in the year. Be sure to focus on your health insurance plan’s actual plan year, since the “clock” may start in a month other than January. 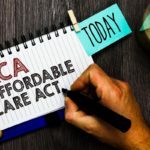 As you may be aware, one of the early components of the Affordable Care Act was to require that certain basic preventive health care be covered by major medical plans with no cost-sharing. No cost-sharing means no deductible for these services: your major medical plan pays 100% of the expense with no out-of-pocket cost for you. So, there is no cost to you, and preventive screenings can highlight health issues and conditions for which you may need to focus some attention during the year. Knowing this early can help you lower your healthcare costs throughout the year. Really going hand-in-hand with preventive care and screenings, you can lower your total health care and medical expenses by taking action to become healthier, or remain as healthy as you already are! If you don’t have access to these types of programs through your insurance company, you can design a plan for yourself, or design a plan with your spouse or other family members and friends. Sometimes when you get others involved in this type of routine with you, it’s easier to stay with it and achieve your goals. There’s usually more than one way to treat a given health care problem. Are you using the least expensive treatment option that will work for you? While switching to a less expensive treatment option won’t make your deductible any smaller, the deductible will come due over a longer period of time and in smaller chunks. For example, if you have a $3,000 deductible and are getting a treatment costing $700 per month, switching to a treatment that is still effective but costs only $400 per month will lower your monthly expenses. You’ll still end up paying the entire $3,000 deductible before your health insurance begins to pay. But, with the cheaper treatment, you’ll spread that deductible over eight months rather than five months, making it easier to manage. Also, consider the type of facility you use when you need specific medical treatment, especially if it involves surgery or other procedures that can be done at an outpatient facility or freestanding facility instead of at a hospital. If your finances are particularly limited, can you get the care at a free clinic or a community health center that will care for you regardless of your ability to pay? Some of these places will care for you for free, will charge you based on your income, or will accept what your health insurance pays as payment in full. Check to see if there is a community health center near you. A Health Savings Account (HSA) is a special savings account that works with high-deductible health plans. You put pre-tax dollars into your HSA, as long as your health plan meets the deductible requirements to be qualified for use with an HSA. For 2017 that means a deductible of $1,300 or more for an individual or at least $2,600 for a family, with out-of-pocket maximums that do not exceed $6,550 for an individual or $13,100 for a family. The money you contribute to your HSA is tax-deductible, and interest earned is exempt from federal taxes. HSAs are most likely offered by employers, but you can obtain an HSA on an exchange or you can open one online or at your bank. Regardless of who offers the HSA, it can help you manage your out-of-pocket costs throughout the year. And a special note about HSAs: The best advice may be to try to save this fund for retirement when, for most people, your income will be lower and your health care costs higher. If you have job-based health insurance, you may be able to participate in a Flexible Spending Account (FSA). An FSA is a special type of tax-advantaged account that can only be used for health care expenses like paying your deductible, copays and coinsurance. You can sign up for your FSA during open enrollment when you’re signing up for health insurance. However, it’s important to know that the amount you can put into an FSA is limited to $2,600 (or a smaller amount, if your employer sets a lower limit). That means even with an FSA, you would likely have additional out-of-pocket expenses, especially if you should experience a serious illness or accident. In addition, an FSA is primarily a use-it-or-lose-it fund. If you don’t guess right, you could lose money. Some FSAs now allow you to rollover a certain amount to the following year, but that is limited, too. Always watch out for billing errors. Part of being a smart health care consumer is knowing how to identify a mistake on a medical bill. Since you are responsible for paying the deductible, the burden is on you, not the healthcare provider, to spot a problem. 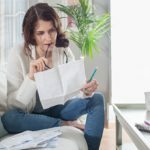 Some examples of common errors on a medical bill include duplicate or incorrect dates of service, treatments and procedures you didn’t receive, charges that look disproportionately high, individual charges when a procedure should be bundled, charges for providers you never saw and, unfortunately, fraud. If you spot an error, call the medical provider’s billing office immediately. Make a note of who you talk to and when you spoke, and how the problem was resolved. Ask for resolutions in writing, and if you don’t feel you’re getting the help you deserve, escalate the call to a supervisor or consider using a medical billing advocate. Billing advocates have years of experience picking out errors from bills, and they can help you identify errors and get them removed to ultimately lower your bill. With a high-deductible health plan, you’ll pay more for your health care in the beginning. But, by using these tips to strategically navigate the health care system, you can make the most of the plan and keep one step ahead of your health care with smart budgeting.